This week we are in the studio with my talented friend Rebecca of Rebecca Penny Photography! 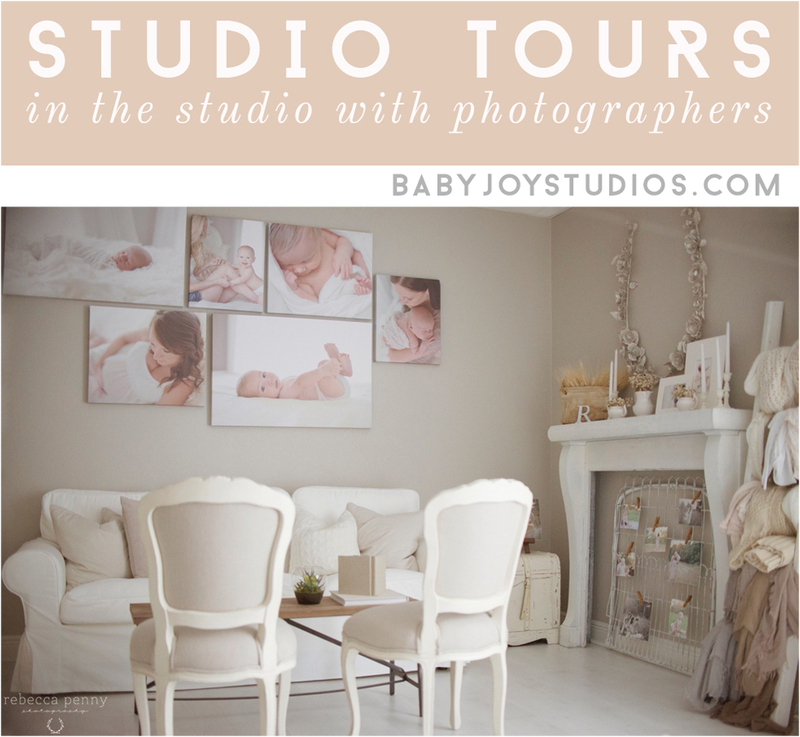 Let’s take a peak into this Houston natural light newborn studio. Is your studio commercial or residential? Commercial. Approximately 225 sq. ft.
Do you use natural light, studio light or both? Natural light. How long have you been a photographer? I have been a photographer for 3 years and just recently moved into a commercial studio space in January. How did you choose your space? I’ve always dreamt of a space with gorgeous light, soft tones and enough space to offer a cozy sitting area for design appointments & consultations. When I found out about the availability of my space, I knew I could achieve the soft tones with my paint selections, flooring & decor; but the natural light had to be perfect. And it is everything I have dreamt of. In three words how would you describe the style and feeling your studio evokes? Soft. Natural. Tranquil. What type of photography do you specialize in? How has your studio helped you grow your business, if it has? I specialize in maternity, newborn, baby & family photography. I believe my studio has allowed me to provide a strong sense of my brand & style by providing consistency in the look of my work. What is your favourite thing about your studio space? What makes it special to you? The moment I walk through the door, I feel a certain sense of peace. Something deep within longs to stay there & create. I often find myself retreating to the studio for inspiration. My mind works best there surrounded by what I love. How do you keep your props organized and ready to use for sessions? I believe in capturing the beauty of life as it is with the use of beautiful soft tones & textures. Fabrics are organized in trunk, china cabinet or on my ladder & rolling shelving where I can easily pick and choose with clients and make changes according to their liking. Advice and tips for opening a studio? 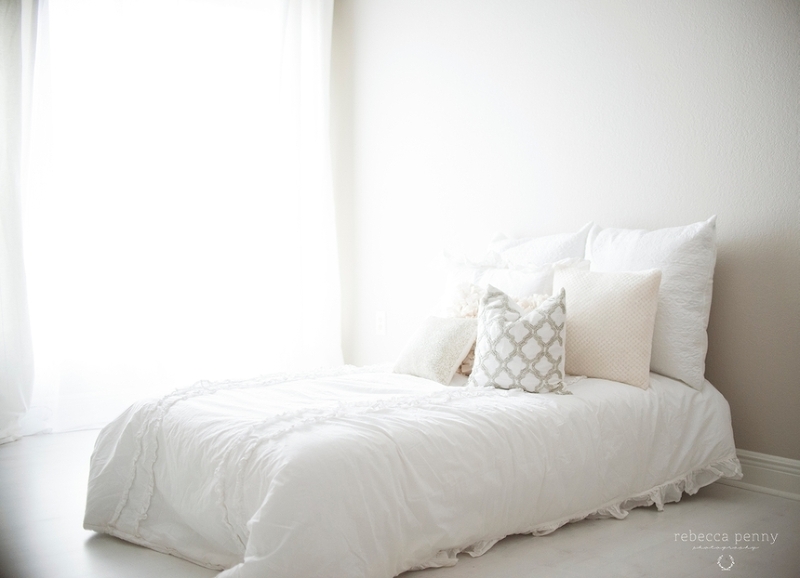 Of course budget always plays a huge factor, but try to choose a space that you love. A space that tugs at your heart regardless of compromises. You can view Rebecca’s photography work on her website and follow her on facebook. Thank you so much Rebecca for sharing your gorgeous studio! View more studio tours here. Shop Baby Joy Studios Props here.